James was his parents’ third son, but the first to survive for more than a few months. 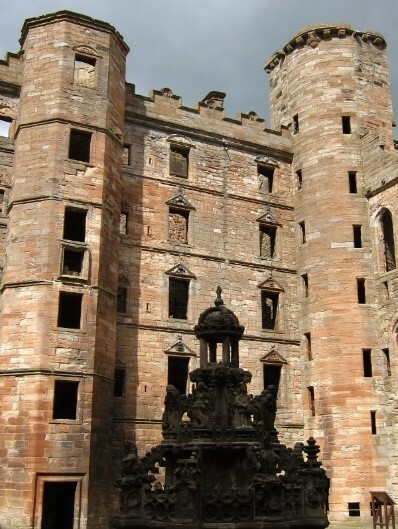 He was born to the 39-year-old James IV of Scotland, and his wife, Margaret Tudor, at Linlithgow Palace. The marriage of his parents had been intended to reconcile the age-old rivalry between their countries, but unfortunately the ‘perpetual peace’ envisaged had not materialised. When James was eighteen-months old, his father marched into England at the head of a huge army, which was shattered at the Battle of Flodden on 9th September 1513 by an army led by Thomas Howard, Earl of Surrey, Lieutenant to Margaret’s brother, Henry VIII. James IV and a large proportion of the senior nobles were killed, leaving baby James as king. The immediate effect of Flodden was to leave Margaret Tudor, under the will of James IV, as “tutrix” and Governor for James, now King James V, and his tiny heir, Alexander, Duke of Ross, born at the end of the following April. The widowed Queen interpreted this role as one of a “Regent” holding complete power. Margaret was keen to have the position of ultimate authority, as, surrounded by the remaining Scots nobles, she felt herself and her young sons to be extremely vulnerable. Her own uncles, Edward V and his brother Richard, Duke of York, had not survived a regency, although they were considerably closer to adulthood than young James V.
Hovering over Margaret and the children were the supporters of John Stewart, second Duke of Albany, who claimed that, as Albany was next prince of the blood he ought to be appointed Governor in line with the usual Scots custom. Despite the general misgivings about a Queen who was perceived as pro-English, and strong support for the pro-French Albany, led by James Beaton, Archbishop of Glasgow, Queen Margaret's position was upheld by the Estates (Parliament) at Stirling. James was crowned on Wednesday, 21st September 1513 in the Chapel Royal at Stirling Castle, by Archbishop Beaton, to the accompaniment of sacred music, including the Mass for ten voices, Dum Sacrum Misterium by Robert Carver, one of Renaissance Scotland’s most talented musicians. Various nobles were appointed to support Margaret, including the Earls of Angus, Huntly, Lennox, Morton and Argyll and a core Council of six was nominated including Lord Hume, Chamberlain; Patrick Paniter, Secretary; Elphinstone, Bishop of Aberdeen, Keeper of the Privy Seal and guardian of the King and Archbishop Beaton, Chancellor. The treasury was found to be empty, but it is apparent from correspondence that 18,000 gold crowns sent by Louis XII to support James IV had been paid over to Margaret by James IV, for safekeeping. In a time when the funding of government was the king’s responsibility, Margaret should have repaid the money to the treasury, but she held onto it, claiming it was to cover her jointure. She effectively stole the money from the Scottish crown. In October, Louis XII of France sent his condolences on the loss of James IV. Since Flodden had been a by-product of English-French hostilities, this was the least he could do. Louis told Margaret that he would neither make peace with Henry, nor permit Albany to travel to Scotland without knowing her wishes.In November, the full Scots Council, whilst accepting that Margaret was the legitimate tutrix, sent Islay Herald to France to ask King Louis to send Albany to them for the defence of the realm. Henry warned Margaret that she should try to prevent Albany returning, and encouraged her in her fears that the Council aimed to take the Governorship from her. Queen Margaret, having begun well with the rapid organisation of her son’s coronation, then placed her position at risk by marrying 24 year old Archibald Douglas, 6 th Earl of Angus. 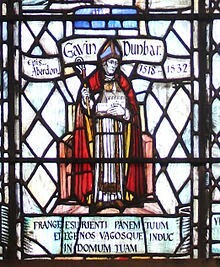 Angus was described as a ‘young, witless fool’ by his own uncle, Gavin Dunbar, Dean of Moray. Queen Margaret's match horrified the other nobles and the Scots Estates. It was inconceivable to the sixteenth century mind that a woman could act independently of her husband. 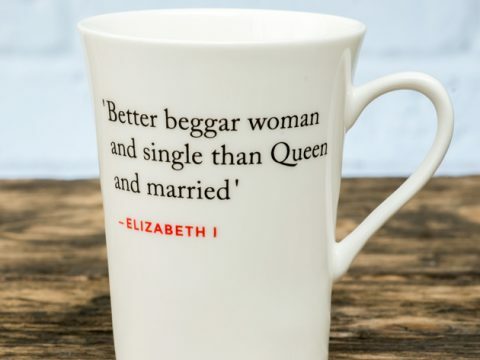 For her nobles, it was a truth universally acknowledged that she would be led by Angus, to the detriment of all of the rest of them, and they seized on the clause in the will of James IV, stating that remarriage would render his widow ineligible to act as Regent. Margaret was determined to hold on to her position and from this time forward, Scotland was plunged into feuding. 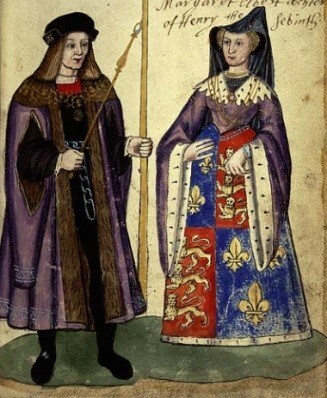 Despite having lost her husband to her brother’s army, Margaret had all of the English princess’s animosity towards France and all of a queen’s dynastic eagerness to ensure that her own son should come safely into his kingdom. She turned to Henry to protect her and her sons. In particular, she wanted him to either send an army to protect her and young James, or at the very least, prevent the dispatch of Albany from France. In the aftermath of Flodden, it is hardly surprising that such a course of action led many of the Scots lords to distrust her. Henry declined to send the army and gave little practical assistance, not even accepting Margaret’s proposals for a permanent peace in the troublesome Border region. He did, however, try to persuade Margaret and Angus to take themselves and her sons to England, no doubt with a view to instituting a Regency Council composed of English sympathisers, and the young king held in England as, effectively, hostage for their good behaviour. In due course discord amongst the Scottish Lords, and between them and Margaret, erupted in a heated dispute over the Archbishopric of St Andrew’s. Margaret put forward Angus’ uncle, Gavin Douglas. This was opposed by Hepburn, already Prior of St Andrew’s. A third candidate for the Archbishopric was Alexander Forman, who was the preferred choice of Lord Home. Gavin Douglas took possession of the Castle of St Andrew’s and was besieged by Angus, leaving Queen Margaret and her sons at Stirling. As soon as Angus was out of sight, Lord Home (Lord Chamberlain) and the Earl of Arran raced to Stirling to compel Margaret to attend the Council at Edinburgh where she was forced to give up the Governorship in favour of Albany, having refused a compromise that would have given her guardianship of James, and Albany the political power. Meanwhile, the Earls of Lennox and Glencairn, supporters of Albany, took control of Dumbarton Castle, further lessening respect for the Crown. Albany had been born and brought up in France and Queen Margaret and King Henry continued to put pressure on the new King of France, Francois I, to hold him back from sailing but to no avail. Francois prevaricated for a bit then claimed that as he had already promised the Scots to send Albany over, he could not “in honour” refuse. Albany therefore arrived at Dumbarton accompanied by eight ships on 18th May 1515 and was installed as Governor of Scotland. His position was formalised by the Estates on 12th July, and Margaret was deprived of her position. The Council decided that Queen Margaret was no longer to be permitted to keep control of James and his brother as it was material to the effective carrying out of the Regency that the King be supervised by the Governor. Nevertheless, she defied the decree and determined to hold onto the boys. 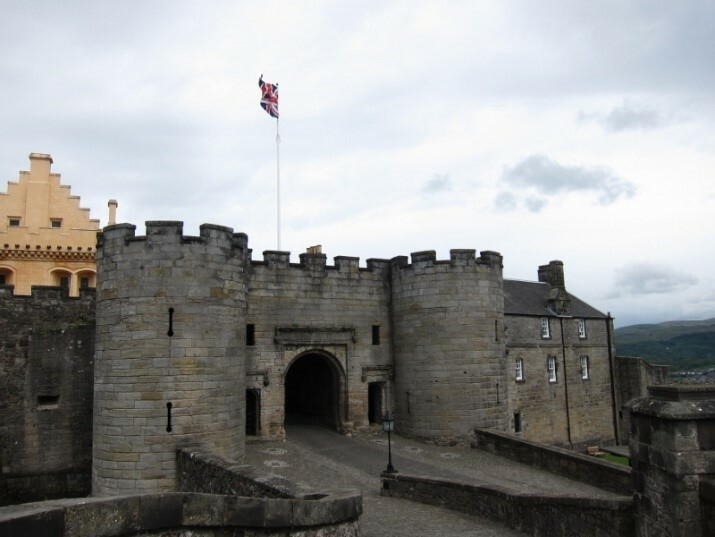 She suggested a compromise, whereby the boys would be surrendered to lords chosen by herself, to include her husband, Angus, and supporter Lord Home, but Albany refused and besieged Margaret and her sons in Stirling Castle. The Queen eventually surrendered in August, and in one of his first public appearances after his coronation, three year old James symbolically handed over the keys of the castle. On 20 th August 1515 James was formally put in the charge of Albany. At the same time, Henry VIII, largely through the efforts of Thomas, Lord Dacre, Warden of the East and Middle Marches, continued to sow dissension by recruiting Scottish supporters through a mixture of bribes threats, and fomentation of internal disputes – in particular encouraging Lord Home to defect. Home had been offended by some act or remark of Albany’s and thereafter could be relied upon to do almost anything to provoke Albany, regardless of the greater good of Scotland. One of his actions was to help Margaret escape for England in September 1515. They were accompanied by Angus and the Earl of Arran. Both Angus and Arran returned and made peace with Albany, but Margaret did not return until 1517.